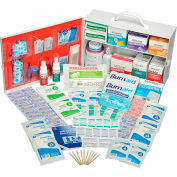 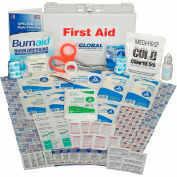 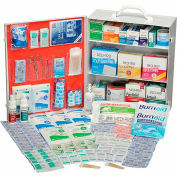 Easy Care Home and Workshop First Aid Kit, 10-1/3" x 3-1/2" x 9"
The Home + Workshop First Aid Chest is stocked with supplies to treat bleeding and other injuries common in the workshop, garage, or home. 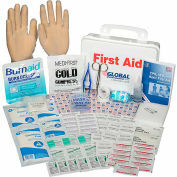 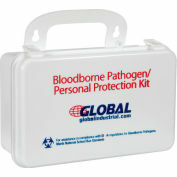 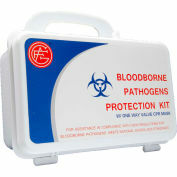 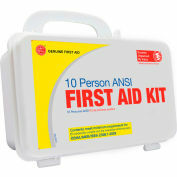 The hard plastic case is durable to protect first aid supplies. 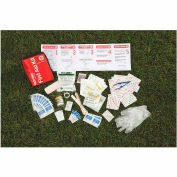 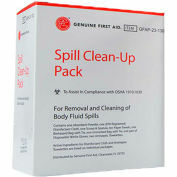 The kit Includes extra supplies to treat bleeding injuries, common in the workshop. 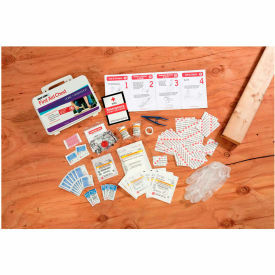 Features the Easy Care organization system, with all supplies packed in injury-specific pouches and quick-reference instructions so that anyone can quickly and confidently provide first aid. 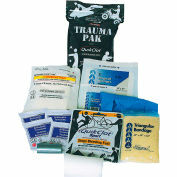 EZ Care System = supplies organized by type of injury. 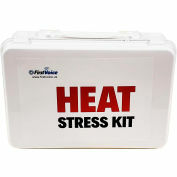 Easy Instructions right on the pouch. 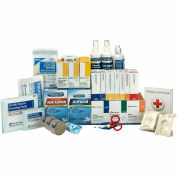 All Easy Care Kits contain Easy Access Bandages™ with fast and easy application and less contamination risk. 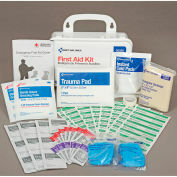 Perform CPR and treat shock. 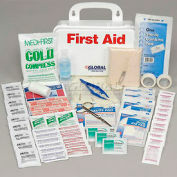 The Easy Care Home and Workshop has everything you need for common household injuries. 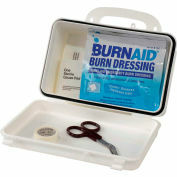 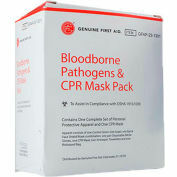 Treat wounds, blisters, stings and burns. 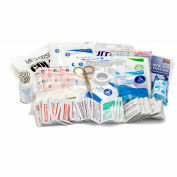 (15) Bandage, Adhesive, Plastic, 3/4" x 3"
(15) Bandage, Adhesive, Plastic, 3/8" x 1 1/2"
(8) Bandage, Adhesive, Plastic, 1" x 3"
(2) Bandage, Adhesive, Plastic, Spot, 7/8" x 7/8"
(1 ) Non-Adherent Pad 2" x 3"
(3) Sterile Gauze Pad 2" x 2"
(3) Sterile Gauze Pad 3" x 3"
(1 ) Combine Pad 5" x 9"
Easy Care Sport and Travel First Aid Kit, 5-1/4" x 2-1/2" x 7-1/4"